At least I got off to a good start, thanks to a generous friend. Patsy had hung wallpaper before and offered to show me the fundamentals. The most important thing she taught me was to use plumb line, a weighted string, to establish a perfectly vertical line. Without that plumb line for a vertical reference, the wallpaper would wind up askew. The end result would be a mess. Forrest Gump’s mama said life is like a box of chocolates, but I think life is more like hanging wallpaper. 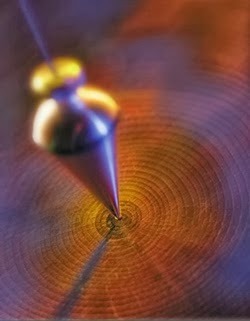 To do it right, we must have a plumb line, an infallible guide, to keep us straight. God has given us the Bible to be our plumb line. When I was a young adult, someone impressed me with the importance of spending time each day reading and meditating on Scripture. I have it a priority through the years. Looking back, I realize without God’s Word to show me how to live, I would have created quite a mess. Father, thank you for giving us the Bible to guide us through life.